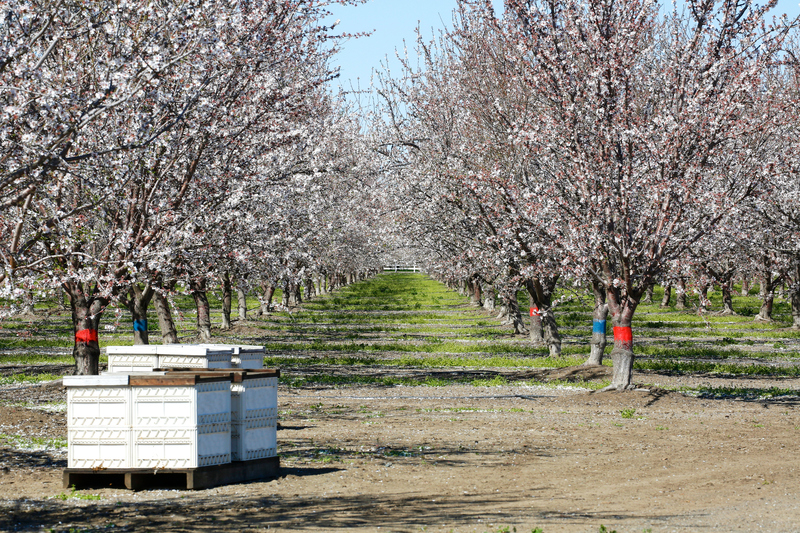 With support from the Almond Board of California, an industry service agency, bee expert Reed Johnson of The Ohio State University College of Food, Agricultural, and Environmental Sciences took up the task of figuring out what was happening. 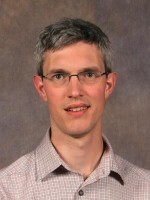 Results from his earlier research had shown that some insecticides thought safe for bees were impacting larvae. Building on that, Johnson undertook a new study, newly published in the journal Insects, that details how combinations of insecticides and fungicides typically deemed individually “safe” for honey bees turn into lethal cocktails when mixed. Almond orchard in bloom with honey bee hives in the foreground. Photo: Getty Images. 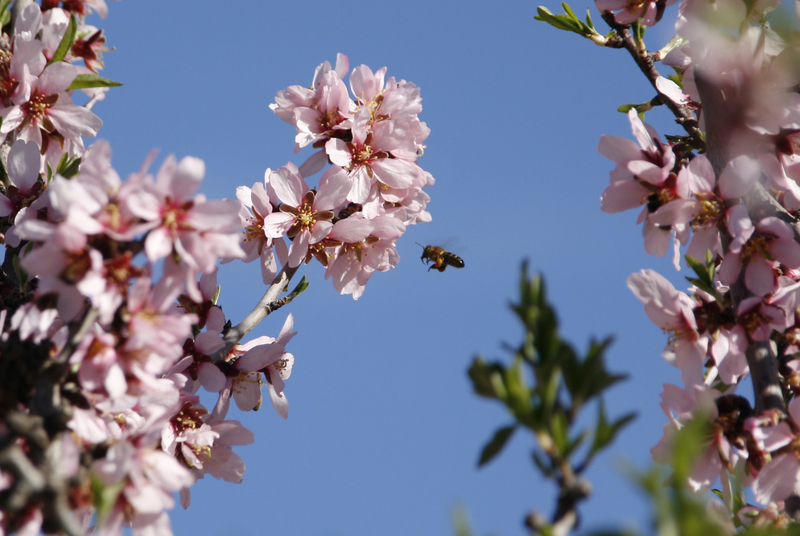 Johnson, an associate professor of entomology, and his study co-authors were able to identify the chemicals commonly used in the almond groves during bloom because of California’s robust and detailed system for tracking pesticide applications. Then, in a laboratory in Ohio, they tested combinations of these chemicals on honey bees and larvae. “I was surprised—even the experts in California were surprised—that they were using insecticides during pollination,” Johnson said. 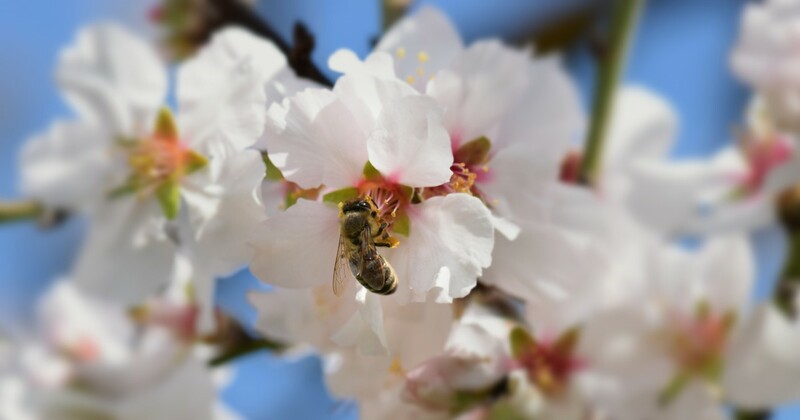 “The thing is, growers were using these insecticides to control a damaging insect—the peach twig borer—during this period, but they have other opportunities to do that before the bees enter the almond orchards or after they are gone,” Johnson said.